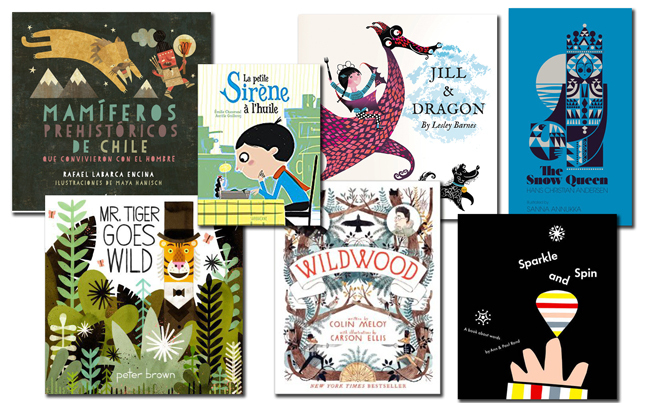 Our love of illustrated books goes deep; we find ourselves obsessively frequenting Toronto gem Page & Panel, giddy at the prospect of a new addition to the Sanna Annukka series of fairytale books, and generally being giant kids-at-heart in all of our design pursuits. Comments Off on happy/sad – lesley barnes post it notes! happy/sad – lesley barnes post it notes! Posted in love'it&covet, paper&ink | Comments Off on happy/sad – lesley barnes post it notes! So of course I am happy as one of my favourite illustrators has designed yet another set of covetable and affordable products. I have talked of Lesley Barnes before – from her work on the Belle & Sebastian video to the wrapping paper she designed that I made into a globe, her style is definitely right up my aesthetic alley. And now I discover that she has put her creative hand to Post It Notes! Amazing. It is just the thing that makes me ever so happy; the realisation of a basic product as art. The idea that everything, no matter how basic, can be beautiful, and there is little reason why it should not be. But now the sad part: I can not find these, or any of the rest of the collection, in the UK. They are part of the Post It Signature Series, and I can’t seem to be able to track these down… Sad. Oh well – I will have to enjoy them from afar, and continue to covet and collect Lesley’s work where I can get it.